The political explosion fifty years ago in May 1968 in France has become a key historical marker for the Left. In an outburst of political revolt, workers seized factories and students occupied universities bringing France to a halt in a series of massive general strikes. ‘Revolution was in the air.’ But political rebellion also had its own roots in 1968 in Italy, Prague, Mexico, and the USA; and from there protests spread across the capitalist core countries. In the demands for an overhaul of political and economic institutions, and in ‘ways of living’, revolutionary possibilities seemed limitless. By the end of May the French government in Paris seemed on the verge of collapse. But by early June the strikes ended and the political crisis in France was over. Well into the 1970s, however, the wave of strikes, protests and overthrow of colonial governments was sustained until the capitalist counter-revolution of the new right, and neoliberal policy regime, gained traction. 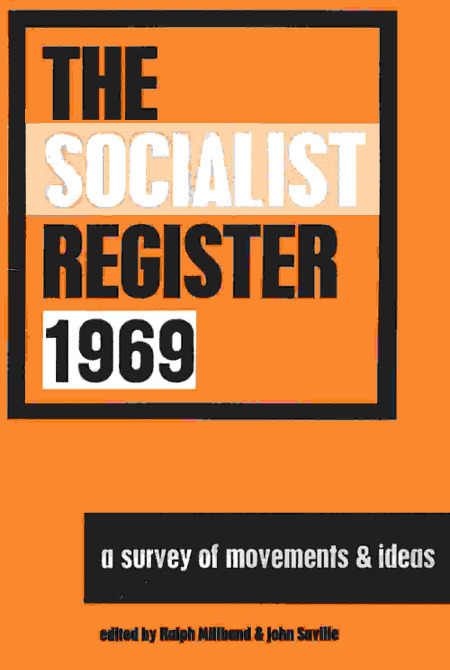 Of the many assessments that emerged in the wake of May 1968, one of the most important interventions came from Lucio Magri, a militant and journalist in the Italian communist movement, translated into English for the Socialist Register . Magri reflects on the shifting class composition represented by revolt and the need to rethink the nature of the socialist party and the relationship between the movements and the party and the strategy of revolutionary forces. These are hardly issues that have receded in importance as we continue to attempt to build socialist ‘parties of a new kind’. It is true that it was a certain political and social crisis which gave birth to the May events and that they were played out to a background of that crisis. But their significance is not limited to this. In fact, they can be considered, the most important revolutionary upsurge which has so far taken place in an advanced capitalist country. By studying these events, we can test many hypotheses which have been built up over the years, find many stimulating questions and even suggestions which may well be valid for many countries and for a whole historical epoch. The May events are the most well-equipped laboratory in which to do research about revolution in the West. In this essay, we shall only attempt a few reflections and try to tackle some of the problems arising from the experience of May 1968. These are, of course, just the first steps in its exploration. It is becoming more and more accepted that revolution is an urgent need in Western society. In the neo-capitalist world, the faith in the inevitable progress of humanity toward a bright future has survived much less successfully than it did in the world of nineteenth century capitalism. In differing ways, many people who are not Marxists have begun to be conscious that the present system is wrong. Moreover they are beginning to realize that even in its very development its contradictions become sharper and its inhumanity increasingly evident. Our society is characterized by the wealth of its scientific knowledge and technical resources; but these have not brought about the liberation of mankind; they have not made him master of all things. On the contrary, they have reduced him to an instrument of production. Work, once emancipated from the most elementary forms of struggle against nature, could finally have become a free and creative expression of man’s personality. But it has not: it has become more and more alienated both in its aims and in its forms. Consumption, once freed from the struggle for survival, could have become something more than the simple and passive act of taking possession of a number of things. It could have enriched both the individual and the community, given them new channels of expression; on the contrary, it has been degraded to a mere function of production. It has become a mass-produced form of idleness, of possessiveness and dissipation. Education is now open to a larger number of people, and the means of communication have broken down many barriers; but all this has only served to give more efficiency to nonsensical activities, or to establish new irrational myths. Political institutions seem to have become more stable, the rules of formal democracy seem safer; meanwhile, actual power is concentrated into fewer and fewer hands, repression is subtler and more efficient and reaches deep into the consciousness of the people; and again and again violence is done to all those who manage to avoid integration. The world is becoming unified, empires and religious barriers are broken, but racialism and nationalism arise again from new bases; new status and caste symbols are invented. What more is needed to establish that reformist optimism, whether liberal or socialist, has come to an end? In the West, not only Art and Philosophy, but even common sense, have for a long time been aware, in a confused and desperate way, of the critical state of the world surrounding them. The May movement marked a new decisive step forward in this awareness, for the first time showing how it is becoming, or at least can be transformed into, the will to struggle, political action and social commitment. Still, this does not bring us much closer to solving the problem of revolution in the West. In Europe itself, fascism has taught us how the fact that a society is doomed and a revolution is necessary is not of itself enough for a revolution to take place. A catastrophic outcome is always possible and in order to avoid it the existing society must produce, out of its own crisis, the “material” with which to build an alternative. Moreover, there must be forces which are capable and determined enough to make good use of the chances offered by history. From this point of view, the May experience tells us that this is no simple matter. The fact that it ended with a defeat does not really matter; it may well be only a temporary one, caused by delays and mistakes on the part of the political forces, which it is still possible to overcome and correct; what is essential, though, is that the May experience, while posing the problem of revolution in the West, has at the same time shown all the novelty and the difficulty of actually making it. In all their characteristics – the forces mobilized, the contents of the struggle, the organizational forms tried out – the May events teach us that the question of revolution “in its highest form” cannot just be taken up again at the point where it was interrupted in 1923. The May movement was very radical in content and this, together with its great spontaneity, were basic factors in its mobilizing power; at the same time, they are also basic factors in its novelty and consequently in the problem of analyzing it. Up to now, where the socialist revolution has taken place, it has been “socialist” of a particular kind; in fact, the proletariat has gained power by utilizing and co-ordinating, toward a common objective, forces and energies which arose from the inadequacies of developing capitalism (such as the peasant problem or the national question). It is not by chance that so far the revolution has involved the conquest of state power by a very strictly organized vanguard. Furthermore, one of the first tasks of the new society has been to secure, through years of hard work, the same level of primitive capital accumulation already achieved by capitalism in many other countries. As a consequence, the transition to communism has had to be delayed. So far an attempt has been made, with very little result, to reproduce this scheme in western societies, using the frontist strategy based on the contradictions which appeared with fascism, as well as on the relative backwardness of Europe. But the experiences of May have strikingly demonstrated the worthlessness of this approach. Of course, even in its most advanced forms, capitalist society is complex and inconsistent, full of privilege, of status, of parasitism. Development and underdevelopment, the cult of productivity and Malthusianism, are constantly intertwined. The theory of “pure capitalism,” so dear to the Second International, is completely disproved even within the very strongholds of the system. Still, it is now easy to see in these complex social relationships the mechanism which controls and sustains them. Each one of these phenomena, once analyzed, do not appear as a remnant from the past, nor yet as a frontier still to be conquered, but on the contrary they are all indissolubly linked to the development of the system of which they are merely new and changing aspects. This means that no contradiction or cause of contention can be made to explode, nor its solution found, unless its very roots – the capitalist system – are immediately and explicitly discovered and removed. This applies to all issues, even the most traditional ones, the most “bourgeois-democratic” ones (such as anti-authoritarianism), and the most trade-unionist ones (such as the elementary defence of the immediate conditions of the working class). Taking the case of authoritarianism, for example, we can find its roots in the social and economic processes – the division of labour, mass culture, the conditioning of consensus, centralized planning – which are themselves its direct presuppositions, its essential instruments. But it is not easy to make a revolution which right from the beginning is explicitly anti-bourgeois in all its contents. First of all, in an advanced capitalist society there is not a simple polarization between capitalists on one side and proletarians on the other, where the two become increasingly antagonistic and increasingly conscious of this antagonism. On the contrary, there is an extremely complex social scheme in which a socialist transformation would harm the immediate interests of strong groups, while on the other hand the proletariat itself at present is fragmented into diverse conditions of life, work and culture. Moreover, it has become evident that the proletariat, as well as other potentially revolutionary strata, can become really interested in a socialist revolution only on certain conditions. It is not enough for them to know that the revolution will assure a quantitative rise in the standard of living, education, and personal and social security; they want to be sure that it is the transition to a society where work is freer, where the division between the state and society no longer exists, and where the individualistic way of life and consumption no longer prevail. It is now clear that this cannot be achieved simply by transferring state power into the hands of a party which has grown out of the working class; nor merely by state ownership of the means of production. And the May movement is the best proof of how difficult it is in the heat of the struggle to direct the majority of the population toward the concrete objective of state power. It has also proved, moreover, how little the word “socialism” means even to the vanguard unless it implies, immediately and substantially, the liberation of mankind. On the other hand, the very events of May have shown that we cannot hope to find a solution to the problem through the spontaneous explosion of a catastrophic crisis, or through the “inevitable progress of forces of production.” Waste, parasitism and irrationality do not suffocate the dynamics of production of an advanced capitalist society: in most cases they are functional to it. Political and social struggles, however acute, do not signify a disintegrating society or a paralyzed economy; on the contrary, they often result in a dynamic reaction on the enemy’s side, urging him forward rather than pushing him back. The contradiction within the system is not an expression of its arrested development but rather of social unease, of desires aroused but repressed and of emerging antagonistic forces all of which are by-products of it. On the other hand, we can no longer talk of a positive-negative polarization between the forces involved in production and the social relations arising from it, in which the former is striving toward a better system and the latter is acting as a brake. On the contrary, the forces of production themselves (science, technology, professional needs and capabilities) tend to surmount the confines of the system while at the same time being deeply scored by it; their shape is that imposed on them by exploitation and they are susceptible to the requirements of the system. The theory of the progression from spontaneity to consciousness, an axiom of the traditional working class movement, is sensibly being changed. Spontaneity seems less restricted, less “within the system” than Lenin thought, and more susceptible toward socialist perspectives. On the other hand, conscious political interpretation must take place, because without it the revolutionary dynamics and forces of the situation are less cogent and less disruptive, and socialism itself appears inevitably as “immature,” “a leap in the dark,” “an act of violence,” compared with the immediate state of affairs. This ambiguity is primarily to be found among the social classes – the most important of all forces of production. Throughout the May events, none of the social groupings proved themselves capable of arriving at a revolutionary position spontaneously – even in its vanguard, was the spontaneous movement able to do more than express an extraordinarily radical spirit of revolt? – and afterwards the defeat has surely brought us to realize how strong is the influence in our society of those people who do feel the need of a change but who are not at all willing to accept the risks of an adventure, the pure logic of a refusal and a total crisis? All this leads to the realization that new and major contradictions can explode in an advanced capitalist society, and a revolutionary front can be constructed, only if an alternative force is already active within the social body; this force must illuminate the socialist perspectives within the present society, consequently developing its requirements, providing solutions, unifying scattered forces and constructing a political force able to transcend the choice between Jacobinism and Anarchism. This indicates, or at least encourages, the development of a revolutionary strategy which does not put a wall between “before” and “after” the conquest of state power, and which builds the “historical bloc” of forces, united through concrete struggles and positive objectives, which already contains the seeds of socialism; a strategy which conceives socialism as the immediate transition to communism. This is the road that Gramsci first tried to define and which some western communist parties have attempted to follow, though with limitations and prevarications, as we shall see presently. This road, however, has been blocked by another aspect of advanced capitalism: the great rigidity of the system and its power of integration. In this integration of the various national economies within one capitalist system, the alternatives, concerning investments and the division of labour, are controlled by the international market and cannot be regulated by any one country. At the same time, in each individual country, all sectors of production become themselves integrated into a single system, which together with the expansion of investment regulates all present and future development: consumption is hence increasingly subordinated to production, and production to profit. As a result of both these processes, it becomes increasingly difficult to modify a section of the economy of a single country, or its general line of development, in a direction which endangers its equilibrium and which is other than that of the system as a whole. And it is even more difficult to find possible alternative equilibria within the system which are susceptible to reformist pressures without interrupting its development. In other words, the system is so strong and compact that reforms which are gradual and prudent are soon reabsorbed and totally distorted, and those which go beyond the permitted limits let loose a chain reaction which immediately leads to the “revolution-reaction” polarization they sought to avoid. Because of these phenomena, the very conditions are lacking in Italy which might engender a political force capable of being autonomous vis-à-vis the system and able to strive for significant reforms which open the way to revolution. This general problem has many aspects: the increasing conditioning of the productive process upon individual personality as well as upon the collective consciousness; the growth of investments and their automatic character; the selectivity of the system as regards scientific research and the uses to which it puts technical achievements; the crisis of all culture which is not specialized and technical; the malfunctioning of representative institutions and the general debilitation of political power, prevented by its own authoritarianism from any freedom of choice. We must not therefore be deceived by any apparent public control of the economy; it does not represent a real political control exercised autonomously within the system, but demonstrates the degree of integration of the state by the society of which it is the expression. The development of advanced capitalist society is distinguished by a continuity in which every choice is deeply conditioned by the choices which have been made beforehand or are being made contemporaneously. The system is constantly blackmailing its opponents with the threat of a crisis, and far too many social groups are extremely sensitive to this. If we really desire to oppose the system, it is not enough just to remove certain political and social power relations; we must reconstruct a complete alternative way of life, thinking, producing and consuming. Herein we can see the total crisis of reformism which has become so evident in Italy and England, for instance, in recent years and which the crisis of May so fundamentally exposed. The contradiction facing the western revolutionary movement is then evident. In order to achieve victory, it must gradually build an alternative to the system. But the alternative must not only be in words, in ideals; it must be a mass movement, able to anticipate a socialist future, to create new demands and new capabilities. It must be a conscious and well-organized force, able to take the lead and to change society at its roots. This is one face of the contradiction. The other is that the system with its strength, its mechanisms of integration and its rigidity, leaves little space for the creation of this alternative but at the same time the question of power is posed in very radical and immediate terms. Consequently, the left in Western Europe is always oscillating between worn out and increasingly subordinated reformist positions and abstract dreams of extreme revolt. Thus, within western Marxism, there are many trends which though bitterly criticizing the system and its deformations, place most of their revolutionary hopes outside the borders of western society, in the struggle of the oppressed people of the world (e.g. Baran and Sweezy), or with conscious pessimism link the destiny of the revolution to the rebellion of alienated minorities, and to a “philosophy of values” (e.g. Marcuse). Both approaches, in fact, have ceased to consider communism as a “real” movement in the west, and a necessity within the dialectics of capitalism. There is no doubt that the May events have posed the question of this “impasse” and of its accompanying contradictions in a clear and often dramatic way. Still, perhaps for this very reason, the May events have also revealed a solution and the way to it. First of all, the May events have suddenly brought to light many objective and material pressures produced by capitalist development itself which tend to overthrow the logic of the system and are themselves the premises of a really different one. We shall here recall some of them, with no attempt at an analysis. We just wish to point to a direction for research and a hypothesis for consideration. Why did student revolt take such a radical character? Was it only because of the revolutionary ideology which some groups borrowed from the experiences of the Third World, and from new extremist cultural fashions acting on an already acute social instability? An analysis of the facts would seem to prove the contrary. Many different currents both in levels of contradiction and ideological positions were to be found in the student revolt in May. An analysis of the ways in which the university crisis has exploded in various capitalist countries shows that some of these contradictions can be solved, or at least rendered less acute, by the very development of the system itself (always providing that it can overcome the present crisis). This applies particularly where the organization of education is centralized and authoritarian, and where the necessary material expenditure has not been provided, and where there is a sharp dichotomy between the university and the requirements of the labour market. Moreover, the system has at its disposal many ways to contain higher education and to use it for its own purposes; in France, as in Italy, many of these have not been utilized yet. The most important of them is the downgrading of the university degree and the setting up of increasingly differentiated courses and different standards of diplomas. This would serve to re-establish on the plane of higher education the selection between wage-earners and the ruling class, traditionally carried out in the primary and secondary schools. Once having reached a certain level of development and being assured of a scholastic structure adequate for its needs, the system can then conveniently encourage mass education as a means to contain unemployment, to augment a plethora of unproductive research and to provide personnel for the tertiary sector of the economy. But behind the question of student revolt there is a much deeper contradiction, which came out clearly in May and which is inherent to the system and to its possible development. And this overriding contradiction which both unifies the revolt and gives it a revolutionary character is the mass of knowledge needed by the system at an ever increasing rate, not only at high levels of research but also for all executive and managerial roles. This high level of knowledge, though, is not matched by the actual tasks performed by the worker, nor in the development of his career, nor in his ability to participate in the decision-making processes. The students realize that even those lucky enough to find jobs will be faced with unbearable disillusionment both at work and in their social life; that their chances of advancement or improvement in either are extremely problematical. What is facing them is not the “ascent” of the self-confident bourgeois individual, but rather the progressive physical and intellectual decay in the past reserved for the proletariat. The doom pronounced by Nizan is truer than ever: at forty a bourgeois is a dead man. Higher education is no longer the hard but safe road toward membership of the ruling class. It has now become a desperate race to enter an increasingly restricted power élite; and after a while most of the competitors will feel the serious gap between their aspirations and potentialities and the concrete reality of everyday life. This contradiction is first noticeable in a particularly acute form in France and Italy, where an old university structure is still working to produce a nineteenth-century ruling class. This aggravates the dichotomy between cultural knowledge and professional requirements, with the absurdly encyclopaedic “basic theory” taught at the university (totally useless both for research workers and technicians), in stark contrast to the backwardness of professional knowledge. This contrast is a basic and permanent element in all capitalist countries and it constitutes the objective origin of the student revolt, which was born as a rebellion against the division of labour, against the uses of science, the worship of productivity, and the restricted concentration of power. Students are extremists because they are a new revolutionary group; every step forward of the system can only aggravate the contradiction. 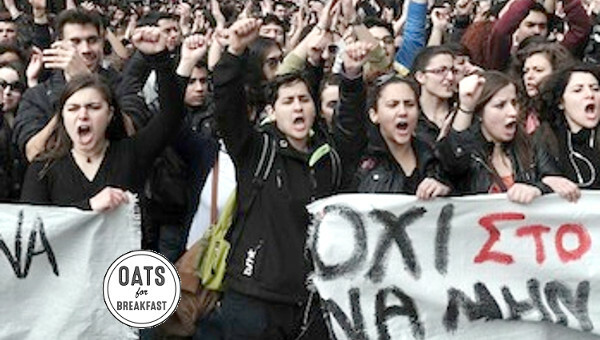 An even deeper contradiction may emerge from the revolt of the students and intellectuals. In May, we saw a primary role being played by some sections of the intelligentsia in the scientific field (pure sciences, sociology, town planning), which traditionally had been among the main supports of the system. Is this only a phenomenon of the “proletarianization of the intellectuals” already mentioned? Or is it possible that this phenomenon arises, albeit in a confused and contradictory way, from the fact that by pre-selecting its goals and imposing its methodology, the system has now become a brake on the real development and application of scientific research? In turn, science itself, because of the logic of the force autonomously developing within it, rebels against this. May we not be approaching the end of the time when science and technology seemed closely linked to exploitation, automation, and specialization, and when they almost naturally accepted the place created for them within the system? Might not the revolt of the physicist, of the biologist, of the social scientist, economist and town planner express something more than his protest as a new exploitee, cut off from power? Might it not also express the birth of a consciousness of the fact that it is no longer possible to conquer new fields of knowledge, to be a good physicist, biologist, etc., to criticize the structure of these disciplines now undergoing such a crisis – except within the framework of a new society and a new culture? What happened in France and what is happening in the world makes these questions valid and legitimate, although a simple reply is not possible at this stage. It is also important to discover the basic reasons for the rebellion of the working class – so unforeseen, general, and militant. Can the return of political questions and forms of struggle forgotten for decades be simply put down to the severity of Gaullist oppression or to the agitation of small political groups? For us, the new extremism of some sections of the working class, and which affects the whole class, has deep and objective causes. In May, a leading role was played by two types of workers who had never previously been outstanding in trade union struggles; on the one hand, these were the young unskilled workers, condemned to the most repetitive and underpaid jobs, and, on the other, the young technicians skilled enough to perform delicate tasks which control the productive process, but who have no chance of joining the managerial staff. Clearly these two categories are the most directly linked to the development of modern capitalist industry and its organization of labour; moreover they are the groups most exploited and alienated by it. In the dynamics of social development they are the permanent reserve of misfits and rejects, which can be profitably squeezed, expended and replaced with more young and fresh fodder. In some advanced capitalist countries, this contradiction has been contained by employing discriminated social minorities to perform the menial tasks while at the same time holding out strong social and financial inducements to encourage the integration of the technicians. But these tensions cannot be bought off for long; nor does economic development tend to alleviate them. Clearly such problems cannot be dealt with by traditional trade union methods. In various ways, they challenge the capitalist organization of labour, the relationship between education and professional requirements, the question of professional careers, the rhythm of work and the power structure in the factories themselves. And since it is not easy to raise these issues as concrete demands, a radical but confused sense of rebellion suddenly springs up spontaneously both against the system and against the impotence of the trade unions, which cannot do anything about it. 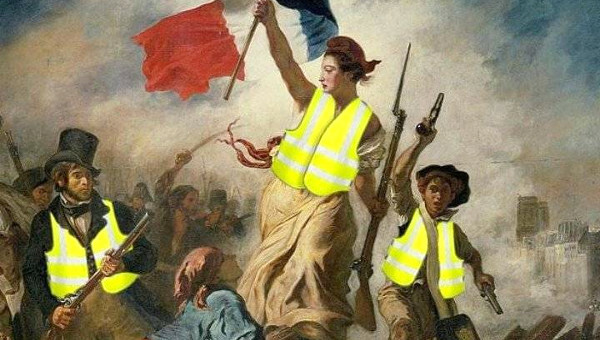 In France, as in Italy, where the relative backwardness of the economy and the absurd importance of the most parasitic sectors adds to the depreciation of the workers’ salaries, the newest sectors in rebellion have discovered in the traditional channels of struggle a viable terrain in which to fight. This in turn gives to the traditional struggles a potentially radical content which is always present even if it does not immediately manifest itself. Finally, let us consider the phenomenon which in the May events has appeared to everyone as the most novel and least expected; the extraordinary need for human communication and for life in common; the enthusiasm with which the great mass, educated and conditioned by the models of consumer society, rebelled against those models, agreeing to consider them absurd and, if only for a short time, showing themselves ready to give them up without difficulty; and the ease with which, in this common experience, they found means of communication and, in their revolt, a capacity for organization, judgement, and discipline. The only explanation for all this is that advanced capitalist society imposes a systematic distortion on consumer demand, and a way of life and social relationships which are obviously increasingly irrational, and which create other demands which cannot be satisfied. In other words, the May revolt has proved that the system’s mechanisms of integration, though still very powerful, are always inadequate. This is not because of some abstract, metaphysical “human need” – which itself could be absorbed easily enough in the end – but because the actual human of today, historically determined and produced by the very process of social development, ultimately resists integration. Under the surface of consumer society, layers of unhappiness are accumulating and with them a potential of rebellion. The structures of integration can usually make them degenerate into neuroses or even into individualistic competitiveness; but when a real political struggle has matured, then these same elements can become a formidable revolutionary force. All moves to overthrow the system have to face many different kinds of opposition, and even they themselves are distorted by the system. The growing social groups which have newly acquired a hazy notion of revolutionary vocation cannot be easily separated from the proliferation of parasitic elements tightly linked to the ideology and structure of the present society. For every new desire which arises from the social body and which demands a change, many other distorted and corrupt ones are thrown up in order to consolidate and perpetuate the old order. The forces of contestation themselves are so closely enmeshed in the laws and culture of the present society as to be unable to formulate a comprehensive alternative spontaneously. This was shown in May. Their revolutionary face is so inextricably confused with a reformist one that they appear only capable of refusal and revolt; an anachronistic army, as it were, of interests already defeated by history. This creates within the social body a resurrection of forces already destroyed, which in their radical confusion constitute a permanent danger of irrational explosion, however much they may be at the same time a reserve of revolutionary energy. The immaturity of these forces is connected to social development itself, not a lack of it, and they are most in evidence as an isolated minority in the United States, then in Italy and France where the previous historical period still survives and where they can develop their dialectic better. This does not eradicate such an important contradiction but at least it permits it to develop a truly revolutionary perspective. It is not true that ours is a one-dimensional society, nor that the contradictions within it are due solely to some internal or external “islands” of underdevelopment; nor that it is able to contain the explosion of its internal contradictions by absorbing and eliminating its detractors. However it is still to be seen if and under what conditions this dialectic can develop into a revolutionary solution. It is surely not by chance that in May a profound gap existed between the social movement which burst out in such a novel way and the strategy of the traditional revolutionary forces (the Communist Party and the left wing “groupuscules”). The analysis we have attempted so far should show that this is not a temporary phenomenon, nor can it be ascribed to some mistakes which have been made in what was otherwise a substantially correct policy. On the contrary, the processes now in motion in our society are destined to aggravate the inadequacy of the traditional approach when faced with the real problems of the revolution. If the May events have shown that perhaps revolution in the west can be achieved, they have also shown that it cannot be achieved with the theoretical and organizational means that the working class movement has at its disposal today. To say this is to say a great deal. But perhaps May can help further; besides clarifying the problems and showing the errors in general policy, it can in more or less explicit terms suggest positive research around the most important knots of a new revolutionary strategy. At this level there is a clear lesson for those forces, especially within the left in Italy, who for many years have been questioning the traditional strategy of frontism, albeit hesitantly and with great difficulty. It is therefore with a precise political aim that we shall here outline the most important points of this lesson, in very schematic, if rather provocative, terms. (1) It is not possible to achieve a socialist revolution in the West unless all revolutionary forces make up for their total delay in analyzing the problems of socialist society, its laws of development, its institutions, its patterns of economic control, and its ideal goals. Marx was justly diffident toward the “pastry-cooks of the future.” But for over fifty years the working class movement has been using this as an alibi to cover its refusal to analyze in Marxist terms the problems of the existing socialist societies and the models of socialism possible elsewhere. Perhaps from a political point of view this attitude may once have been understandable. Today, though, the opposite is true, since political necessity itself requires us to tackle the question seriously. State ownership of the means of production and power in the hands of the communist parties have not been enough to avoid or contain the rise of new contradictions in the countries which have already achieved their revolution; moreover, in the countries which have not, it is clear that the revolution will not be achieved unless some theory of socialism, taking hold of the masses of the people, contributes to precipitate the crisis of the existing system. In this respect, completely new themes have to be tackled. The paths indicated by Marx in the Critique of the Gotha Programme , by Lenin in The State and Revolution , or the simpler formulae of the late Lenin (Soviets and industrialization) can only serve as distant guides to our work, which must be a real scientific research, involving a degree of political inventiveness for which, after all, the materials are provided only by history. From the point of view of theory – the development of a model – two main questions condition all others. On the one hand how to achieve the management of production by the producers, in a way which is directly socialist and irrevocable and which once and for all excludes the sovereignty of the market and the exploitation of work. The other question is how to achieve the “withering away” of the state as a separate structure and the establishment of a superior form of democracy which will finally lead to the transcending of democracy itself, as of any other form of political power. In Marx’s times, these two questions seemed the fruit of a far-seeing genius; today, they are the core of a confused research arising from actual necessity – albeit in diverse forms. Some discussion and a few chance experiences in recent years have shown that there are no possible shortcuts or easy solutions. Some had fostered the illusion that simple measures of decentralization or liberalization would be enough to ensure the social management of the economy or the development of democracy in a socialist system. But the illusion did not last long. People were forced to see that such objectives imply the need to find a solution to the fundamental problems of the social order. A new technology, a new organization of labour, a new kind of consumption, new institutional forms, a new levelling of social inequalities are needed – new relationships of production, in fact. An economy cannot be managed in the real interests of society unless it has undergone a qualitative change in most of its aspects; nor can it be democratically directed if it still contains major elements of repression and stratification. For this reason, socialist society still seems a society in a state of transition; despite great qualitative changes this is inevitable when compared to the highest stage of capitalist development, especially where certain countries are concerned, such as those in Eastern Europe, where serious problems of scarcity still exist. And this leads to the second, fundamental series of questions: how to judge the efficacy of the structures, institutions and concrete alternatives operating in a given society in a given phase, in such a way as to develop a programme of transition to Communism in which the long term perspective is guaranteed without damaging the immediate requirements of the actual starting point? It must be emphasized, though, that the problems of socialism cannot be solved in advance, or abstractly around a table. The solution must come from generalizing particular experiences, from considering processes as they are taking place; by definition, therefore, precise and consistent answers can only be found in the heat of a revolutionary crisis. It is essential though that we remove all prejudices which might hinder or distort our research. These prejudices no longer derive from the Soviet model or from the “sacred” texts, but above all from the empiricism of the theory of “national roads.” Frequently this theory raises original questions in the concept of socialism only to find original ways of suppressing them. In this way any reflections or judgements on the existing socialist societies are suppressed – they are “absolved” by the principle of the autonomy of each country; and so too is the possible character of future revolutions – in the name of “specific situations” and the improvization of history. Actually, the only principle concerning revolution in the West which has escaped this double obstacle is that of “respect for a multi-party system and the traditional forms of freedom.” This though only serves to prove how superficial the analysis so far has been; if the existence of many parties can and must be guaranteed within a western society, why should it not be so in a society which has known socialism for over 50 years but where it has been clearly demonstrated that internal political and social contradictions remain? Why should the views of Christian Democrats be thought useful and stimulating within Italian socialist society, while those of a “pro-Chinese” communist be thought sterile and dangerous within Soviet socialism? To go deeper: how is it possible to guarantee the existence of many parties once the roots of private property have been removed? What new mechanisms and institutions will be used for this purpose? Or let us suppose that the future socialist system is completely democratic both toward classes and ideologies: how shall the effective political leadership of the proletariat be assured, since this class has never had the social and intellectual tools at its disposal for a natural hegemony? All this is not to deny that the problem of democracy is important even in its traditional aspects; but it does give a concrete example of how, even in the areas where it has been most comprehensive, the research into socialism has been inadequate and dominated by contradictory tactical exigencies. For our part, the events in May have demonstrated that if this work is not brought up to date very soon, at least in the West, some of those who would otherwise contribute to the revolution but who are worried by existing socialist systems, may think that it is not worth risking a revolution to achieve that kind of socialism. There are others who will fight a revolutionary struggle but only in terms of a complete rejection of everything, or a naive and anarchistic desire for total and immediate freedom. In the present stage, many of the tensions latent within the social body are bound to remain without assuming any political relevance. This is because a viable alternative is lacking which would help people understand the real situation and the social roots of their personal unhappiness. (2) The necessity of developing a socialist perspective which is both theoretically accurate and politically concrete is not only required in the name of intellectual coherence, nor because of the necessity of making the long term perspective clear and persuasive. It is needed above all to exploit the latent contradictions within this society and bring them to the boil; to ripen the revolutionary consciousness in those cases where it cannot mature spontaneously. In short, we have to create a politico-social bloc which is consciously anti-capitalist, homogeneous enough to embody an alternative, and strong enough to stand the test of a radical reconstruction of society. But the essence of modern capitalist society is to prevent the superstructure having any real autonomy and to absorb and distort any opposition which presents itself in a primarily ideological form. Therefore the question of a socialist perspective can only survive and operate in so far as it shifts its base from discussion, propaganda and education, to the plane of political and social practice: mass struggle around specific objectives starting from the dynamic of immediate demands and progressively developing their revolutionary content. The diffidence of the new forces of the left toward the “strategy of reforms” – often developing into a rejection of any concrete objectives or partial victory – is based on its frequent reduction to mere reformism, seen both in practice and by implication in many theoretical definitions. Still looking at May, we can say that these fears are not without foundation; if only because that very experience has put into relief a number of distinctive elements in the conception of the struggle for reform which had never before been clearly exposed. Besides, the existence and gravity of the problem is proved by this paradox: the student movement is totally hostile to reforms and yet it is still the first movement in Europe in twenty years to have led a real mass struggle for the reform of a social structure (the university). This struggle employed means and aims that led it to challenging the whole social system, whilst those who claim to support the concept of “struggle for reforms” such as the Communist Parties, have never in fact led a real one (although they have certainly directed decisive political and trade union battles). The diffidence mentioned previously, therefore, can only be overcome if some very simple points are finally clarified. The first concerns the relationship between reforms and revolutionary crises. We can no longer remain sitting on the fence; we must choose. On the one side there is the strategy which envisages the revolution as the result of a long transition from capitalism to socialism through a series of reforms, while contemporaneously, the leading sections advance on the control points of the state. On the other, the strategy in which the struggle for reforms provide the best possible conditions for the inevitable revolutionary crisis to ripen and for the “bloc of forces antagonistic to the system” to be created which, in the heat of the crisis will conquer the state machine and break it. Many years’ experience and the lessons of May show not only this second line can stand the test. A struggle for reforms which introduces subjective and objective elements into society antagonistic to it will create a crisis and a polarization of forces. The system, on the one hand, tries to present itself as a well-defined entity, while the opposition forces tend to desert the institutional environment and assume the function of a living critique of the power of the existing state. This does not, of course, mean that any struggle which does not end up in revolution is doomed to sterility or only to be valued as an experience, nor that shifts in the political balance or programme at state level have no relevance; but it does mean that if such a struggle has really achieved something, if such shifts have represented a real crisis within the balance of power, then they must have created the base for sharper antagonisms. They must have accelerated the process leading to a wider crisis, the result of which cannot but be a revolutionary leap forward, either by arms or by the “peaceful” weapons of insubordination and mass struggle. Here we come to the second point. The struggle for reform is not the same thing as reformism if we accept that in the present stage of capitalist society new pressures have developed within certain social groupings and aspects of society – pressures which are objectively antagonistic to the system and which pose the need for a superior one. In fact, it is as a result of capitalist development that socialism has today become a historical necessity. If this were not so, it would be impossible to refute the well-known Leninist thesis that intermediate objectives can escape a reformist fate only if proposed in a time of revolutionary crisis. In this new concept of the struggle for reforms, therefore, it is the key sectors of the system which are the vital ones; the protagonists must be the revolutionary social forces, and the objective that of introducing tensions and contradictions into the system. It is the logic of the social necessity for a reform that has to be considered and not its degree of compatibility with the system as a whole. Therefore such struggles must not be conceived or presented to make the existing society work better, to satisfy “national interests” or a “need for modernity and rationality”; this is not because they are intended as instruments of political subversion but rather because of their own intrinsic character. Their perspectives and their political synthesis are always outside the system. For example, let us take the University which the students want. The demand does not arise out of an ideological preference, but as the true projection of their need for culture and freedom. But such a University could not function within our present system; it would be the source of waste and chaos, since it would be a living contradiction of the predominant interests of society. For these reasons – and this is our third point – struggles for reform can only make sense as movements of direct mass insubordination to the existing legal order, and not as a form of pressure of public opinion to be directed into institutional channels and from there to be integrated. This is because the specific logic that dominates all institutions would prevail – legalism and adherence to the “national interest.” This does not mean that the struggle must take place completely outside the institutions. On the contrary, the latter may be the place where compromises are reached and partial results are codified, in those cases when the confrontation has not yet gone so far as to contest the whole of society. The crucible of the struggle, however, and its real conclusions, are always to be found outside the institutions. The moment it becomes institutionalized is a moment of temporary defeat; every compromise which has been obtained, by definition, becomes ground for the new initiatives of the system and can only be valuable in so far as there are forces strong enough both to make sure of it and to challenge it. In the long term it is evident that this general strategy raises onto a new level and with a new clarity the whole question of “dual power,” that is, of new democratic organs of power at the base; i.e., since it is not such a bad expression, of soviets. We think that the May events require reflection and work in this very direction. They have shown that it is possible to detect contradictions in the advanced sectors of society onto which to graft a struggle which is both concrete and antagonistic to the system; that in this case the radical and fully explicit nature of the anti-capitalist objectives has served to enlarge the movement, not to restrict it; that authentic struggles for reform can and must be based upon mass insubordination and “violent resistance”; finally, that a real advance in the consciousness of the masses can only be achieved as a result of their direct involvement, and in the heat of acute political and social crisis. We are sincerely convinced that the strategy of the struggle for reforms has not been negated by the May events; but we must also honestly recognize that they do constitute the ultimate critique of the way in which the question has usually been tackled, both in theory and in political practice. (3) Central to all revolutionary strategy is the problem of discovering and analyzing the driving forces on which it can count. The crisis in May has provided many new suggestions on this question also. First of all, it made us rediscover the role that can be played by the working class in the socialist revolution of an advanced capitalist country, not only as the political vanguard of an army (whose basic assault troops are to be found elsewhere) but as the direct social protagonist of the revolutionary process. Never before had it been possible to see how vast the borders of the “new working class” have become; how there is a real class continuity among the different strata of wage-earners in advanced industry, and how the pressure arising objectively from the immediate problems of defending the interests of the working class calls for a rupture with the methods of labour organization and the division of power used by capitalism. We have also learnt, however, how difficult it is for revolutionary potentialities to be consolidated into conscious struggle. A grave delay has accumulated in the formation of political consciousness, of cadres, of forms of organization adequate to the actual needs and potentialities of today. The problems of the unity and political mobilization of the working class, of surpassing “trade-unionism” and finding methods of unified political struggle in the factories is once again paramount: the very problem around which, in Italy at least, the Communist Party was created. The real cause of the May defeat was that the whole French left was completely unprepared to face this problem. But does this apply only to France? Here in Italy, have we not become used to accepting the ever-increasing gap between the social and political maps of the country as something obvious? Or that the predominant organization of the working class in the factories should be the trade unions? Or that in the struggle to obtain reforms the organized working class should be less predominant than other social groupings? Or finally that as a matter of course in Italy there should be a grave division, both politically and in the content of demands raised, between the traditional working class and the new strata of intellectuals of production? New possibilities are also evident on the question of social alliances. In the traditional strategy, the social allies of the proletariat were above all the peasants and those sections of the party bourgeoisie most oppressed by the monopolies. In May, and not only in May, the decisive allies on the workers’ side were intellectuals and students. 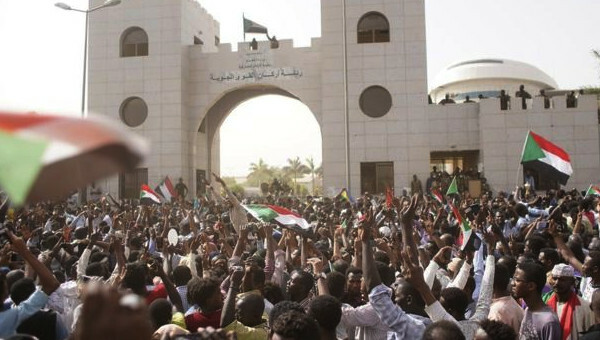 Both arrived at militant positions autonomously, without any real help from any organized force, either in the form of effective solidarity or of a serious debate. But are there not, if only we start working on a new level, other latent forces to be discovered, and other tensions on which to work? Here again there is completely new ground for concrete analysis, organizational experiments and the creation of new movements. So the problem of social alliances becomes first of all a problem of unity among different strata and sectors of the proletariat, and between the proletariat and other groupings directly linked to the most modern forms of production and relatively privileged with respect to their incomes. But if this is so, it is also clear that this unity cannot be achieved on merely trade unionist grounds and that every section must be prepared to transcend its own immediate corporate interests. Thus the very concept of alliances tends to change, and to become synonymous for the “bloc of historical forces” unified in their common interest in a revolutionary solution. In this bloc the working class retains the leading role only because it is the only class whose immediate interest tends to coincide with the needs of the revolution and which cannot actually liberate itself except ultimately by negating itself; nevertheless, the objectives and motives which bring other social groups to rally round it are also intrinsically anti-capitalist. All this, however, carries the clear implication that this unity cannot be realized except through the mediation of a consciousness and an organization, i.e. the bloc must be political and social at the same time. The experience of May marked the end of the separation of political action from social struggles. Therefore, not only the traditional strategy of social alliances has entered a crisis, but also that of political alliances. Social democracy and petty bourgeois radicalism – the allies so diligently wooed but so seldom won – have not failed the test because of the choices or directions they have taken. They have often tried to make contact with the movement, outbidding the communists by taking up demagogic positions. But they have failed in their rapport with the actual situation in the country. They have revealed themselves as they actually are: empty and impotent power machines, able to express the conservative aspect of some intermediate social groupings, and to represent them in elections, but completely unable to interpret the creative potential of these same people and to lead them in a real movement. When they refused to accept an alliance with Mitterand and Mendès-France, the French students made a tactical mistake but grasped a strategic truth: that such an alliance, rather than being too difficult to achieve or too costly, is useless. In the midst of a very real confrontation, these political forces appeared to the students as false alternatives, mystifying structures behind which another game was being played – the game between the system, with its power and ideology, and the revolutionary movement. This is not intended to deny the importance of existing political forces, the practical impact of ideologies, the political value of traditions or the need to conceive the revolution as the convergence of many different political forces. It does mean that we recognize the degeneration of certain political groups, in their structure and internal mechanisms and in their links with the masses; by now they have come to represent the instrument used by the system to congeal certain social and ideological contradictions. Therefore, any revolutionary struggle must necessarily bring about a crisis in these groups, their leaders and their ideology. In fact, the great political and ideological, as well as social, complexity of the May movement has shown that this crisis is ripe, and that some social strata and currents of thought, traditionally organized by radicalism and social democracy, have been searching for new ways of expression which will lead them autonomously to join the revolutionary front. Unity among the parties of the left at this stage becomes mainly a tactical element in a much deeper process wherein a new deployment of political forces has to be created. It would certainly be arbitrary to export these lessons from one country to another; in France, the crisis of the intermediate political forces is much more serious than elsewhere. Still, similar problems and tendencies can be found elsewhere, as for example in Italy, where despite a rich tradition of mass parties, the political structure has clearly degenerated and is organically incapable of comprehending the real movements which are developing in the country. These movements meanwhile have developed into forces of contestation outside the political structure, and now encompass social and ideological sectors of the people which are traditionally Catholic or socialist. However, it must be stressed that this crisis does not take the form of splits or new regroupings within the traditional political forces; everywhere it has meant the radical criticism of their very essence – delegated democracy, bureaucratic structures, allocation of power and electoralism. 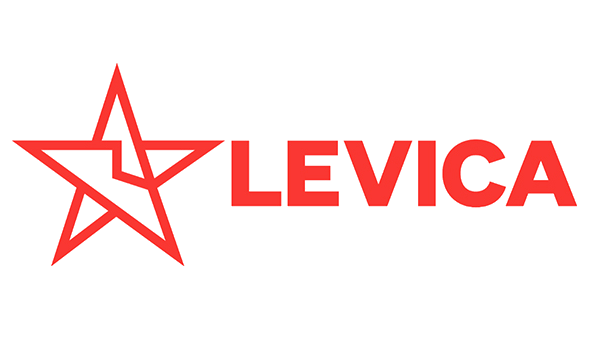 In May, the crisis was not one of a particular alliance between left-wing parties, but of the very concept of a political alliance as an agreement at the top, around a minimal common programme, and among organizations which themselves reflect the structure of bourgeois democracy. Such a problem cannot be solved in the space of a day, since organizations and traditions are always much more glutinous than one would imagine. However, the problem has now reached historical maturity. (4) This leads us to discuss what is perhaps the most delicate and complex problem posed by the French experience: that of a new concept of the revolutionary party. Of course, there were many who obediently followed the existing communist party and others who only lamented the absence of a “true revolutionary party” of a Leninist type. But the May movement had quite a different effect on the consciousness of most militants, especially the young ones, which arose from the actual experience of the movement. It was not only the particular policy or particular leaders of the French Communist Party (PCF) which were challenged, but the very concept of the revolutionary party, seen in terms of an organized vanguard with a well-defined ideology and a centralized leadership. Now, how much is this libertarian polemic against the party as such the authentic expression of a new level of struggle, conditioned by its own development, and how much did it serve to disarm the movement, crucifying it on its own spontaneity? The facts do not permit a simple answer one way or the other. On the one hand, the new conditions in which revolutionary struggle takes place in advanced capitalism seem not only to confirm the need for such a political force, but even to make it more evident. It is most needed to provide some theoretical synthesis and organizational guidance, which would harmonize many spontaneous pressures into a strategic design and elaborate the tactics to be followed. No social contradiction can reach full ripeness without the presence of an alternative, nor can the socialist revolution avoid always being “premature.” If this is so, then the role of political consciousness and organization has acquired a new value. Moreover, socialism, being a society in a state of transition, still has surviving elements of repression, albeit dying out, and it has been shown how the instruments of repression in the hands of the state and the bureaucracy can be the source of great dangers within socialist society. Is it not evident, then, that only the party, seen as a force founded by consensus, with a freely accepted discipline, can really provide the only acceptable “instrument of repression”? One, moreover, able to suppress itself when necessary, not to suffocate the social dynamics and to adapt itself according to the development of the revolutionary programme. On the other hand, the revolutionary party which can fulfil this task of stimulating and co-ordinating the social movements rather than that of substitution and delegation is not the one we know now. Gramsci’s analysis led in this direction and as a result initiated a profound re-appraisal of the theory as well as the practice of the parties of the Third International. And, in our opinion, the May movement has provided further stimulation in the same direction as Gramsci, moving the problem of party democracy away from the sterile questions of differing types of delegated democracy (monolithism or factionalism) to the very fruitful question of the relationship between the masses and the party; in fact, between the party and its social practice. Questions of unity and internal debate were thus only a phase and a means with which to achieve radical change in this fundamental relationship. The student movement, for instance, has developed both a deep sense of unity and a great freedom of discussion because it chose the necessity for struggle as its basic point of reference. Certainly it lacked the cultural and organizational means which would enable it to develop into a permanent and coherent political force; but it has already offered a great practical lesson which goes counter to a whole political tradition – in which the struggle for power among some groups at the top has been camouflaged under complex ideological polemics or ossified theoretical positions. This served to avoid the need to face up to the creative problems that arise from real action. Certainly this line of analysis must be followed seriously and prudently. The working class needs organizations which fulfil the simultaneous role of tutor and mouthpiece, and which are suspicious of the call of anarchists who would leave it defenceless. This is why in May the majority of the working class reacted with intransigent opposition when the student movement concentrated its most destructive powers of criticism on the General Confederation of Labour (CGT) and the PCF. In this iconoclastic rage the working class saw, and quite correctly, the expression of bourgeois privilege, of the privilege of a social group which can live and fight, in political terms, outside definite organizations. Therefore, we must try to consider, in concrete terms, how both the party and the trade unions can be positively changed. What is the structure and internal life which will equip a revolutionary force to meet the needs of the new phase of the struggle? This is a complex problem, and we do not know the perfect recipe. One thing is certain though; the time is now ripe to pose the problem, and furthermore to abandon the three cardinal principles which characterized the life and activity of the parties of the Third International – the delegation of political decisions and day-to-day management to a body of political professionals; the selection and continuity of this body through co-option from above, directed by a leading group seldom more than 10-15 strong; the separation of political debate into various levels and the systematic way of achieving unity on a scale descending from the top to the base. Clearly, these are not merely organizational questions; they imply a whole theory of the party. Just as clearly, though, factionalism is not the answer, since it would produce the same impasse; but because of this, we must not allow ourselves to become prisoners of our own mythology. Whoever understands the working class movement in the West, with all its problems, or who examines it critically but without prejudices, will be aware that an effective revolutionary position implies not only the development of a certain line, but also the revision of the revolutionary instruments themselves. It is to the credit of the May events that not only have they pointed out the problem, but also they have provided an interesting hypothesis on how to tackle it. Undoubtedly the experience of May has offered some rich and stimulating suggestions; but they are far from being a strategic line, or a political platform. They have exposed many more problems than they have been able to solve and they have shown that the theory and practice of the working movement is badly out of date, while providing some ideas for work and research to make this up. But time and energy are needed to do this, and even then the one aspect essential to a revolutionary strategy will still have been neglected: the concrete analysis of existing forces, the elaboration of definite objectives to be fought for, a draft programme. A strategic plan, a way to work for the revolution, has been suggested but this plan has not been tested against a concrete analysis of French society or imperialism today. What was latent in the May movement was not actually a new or different strategy, but rather some of the basic, stimulating premises to one. The vacuum resulting from its absence, however, was often filled with enticing deviations, undefined activism and revolutionary phrase-making, all of which could later develop into serious obstacles to prevent the most positive and vital potentialities of the movement from maturing. Therefore, while strongly emphasising the novelty and richness of the May movement, we have not tried to give a picture of it which is either reassuring or an apology for it; we have suggested an analysis which clearly refutes the idea that a revolution was just around the corner. On the contrary, if the French left, and primarily the PCF, had provoked a political and social crisis, aggravated it, and then left the breech open, thus overthrowing the regime, they would have run a very serious risk. It would have meant launching a drive which could only succeed if they were capable of a tremendous renovation and if many factors ran in their favour. Within a very short time, and in the course of a bitter confrontation, a delay of many years had to be made up. To have undervalued the size and importance of this problem, or to have tried to solve it, as many suggested, with a few clever tactical moves and by throwing its full weight behind the movement, would have signified an irresponsible rush into an adventure. But we hope we have shown how it was quite reasonable to have run such a risk in view of the many favourable objective and subjective conditions existing nationally and internationally at the time. However, in the present world and European crisis – which is far from being solved – it is an inevitable risk which will certainly recur; especially since in view of the state of the crisis, there is not enough time or enough forces available to build a secure and organic alternative. The problem, therefore, is how to give a realistic evaluation of this risk of an adventure, not in order to avert it, but to cope with it. The very idea of accepting and even aggravating a confrontation without being sure of winning, of engaging in a struggle without being absolutely clear how it will end, is totally repugnant to our generation, which well remembers the anti-fascist struggle, and is therefore very sensitive to the dangers of activism and adventurism. It is also repugnant to the working class as a whole which has patiently constructed itself into a political force through long hard trials, and is genuinely afraid of compromising this. First published in English in Socialist Register Vol. 6, 1969. Lucio Magri (19 August 1932 – 28 November 2011) was an Italian journalist and politician. In 1969, he was one of the founders of the left newspaper Il Manifesto . 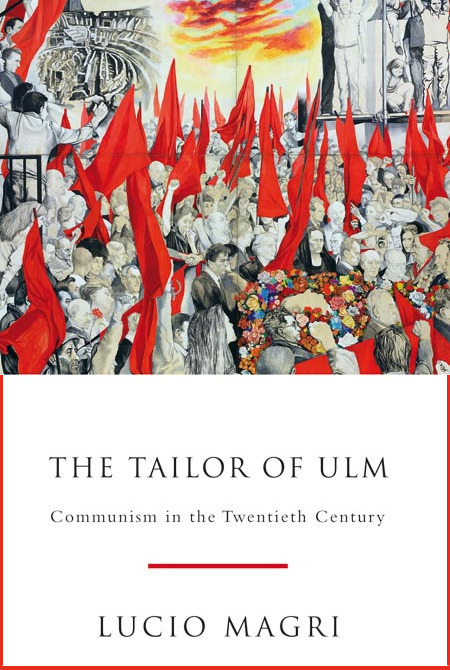 In 2011, Verso Books published The Tailor of Ulm: Communism in the Twentieth Century .